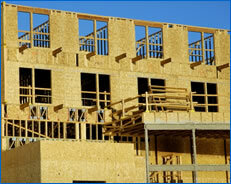 South Coast Inc. offers the full spectrum of commercial and residential design and construction management services. We are unique in that we take projects through from initial conceptualization through design and construction. At South Coast we see design and construction as an integrated process. So how is Design Build different from traditional construction systems? Design-build (or design/build, and abbreviated D-B or D/B accordingly) is a construction project delivery system where, in contrast to "design-bid-build" (or "design-tender"), the design and construction aspects are contracted for with a single entity known as the design-builder or design-build contractor. The design-builder is usually the general contractor, but in many cases it is also the design professional (architect or engineer). This system is used to minimize the project risk for an owner and to reduce the delivery schedule by overlapping the design phase and construction phase of a project. Where the design-builder is the contractor, the design professionals are typically retained directly by the contractor. The most efficient design-builder has design and construction professionals working directly for the same at-risk entity. This is one of the oldest forms of construction since developing from the "Master Builder" approach. 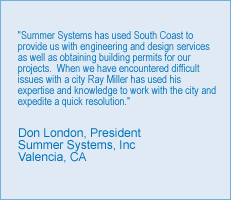 The Design Build approach allows South Coast Inc. to effectively manage construction projects with the main objective of surpassing customer satisfaction.